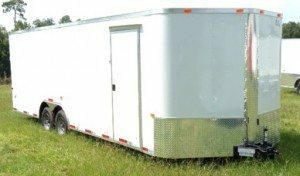 We offer great auto carrier/car hauler trailers at low, low prices. 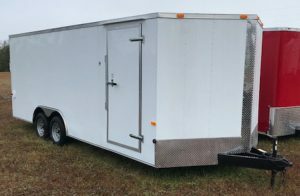 Our auto carrier/car hauler trailers are made with all tubular steel (strongest possible), triple tube hitches (many of our competitors only have two tubes in their hitch), LED tail lights, 3/8" plywood walls & 3/4" plywood floors. The Ranger series offers limited customization while the Elite series is fully customizable with our options list. If you have any questions about our auto carrier/car hauler trailers please call us at 727-346-6423 or use the chat button on the right.